Mexican tacos have won the hearts of the nation, and the rest of the world, and there’s no better time to show our appreciation for these wonderfully-stuffed shells than on national taco day. While Mexico is probably the best place to get your hands on the good stuff, (for authenticity purposes), you can also seek out these spicy salsa-topped treats in other cool cities and locations across Europe. Hungry? If you’re heading to one of these Mexican restaurants you’re in luck…. London is a foodie paradise and it represents Mexico’s most famous export with due persistence. Do not miss: Tacos El Pastor, a trendy Mexican Taqueria located in London’s Stoney Street (Borough Market) freshly prepares grilled meat and fish from scratch each day, plus a variety of tasty salsas and Mexican beers – inspired by the owners Sam and James Hart and Crispin Somerville’s time spent in Mexico. Then there’s Del74 Clapton, an inconspicuous (or so it may seem) restaurant in East London where tacos tick all the boxes. Choose from delectable dishes including a veggie tinga, prepared in a smokey chipotle chilli sauce with a crispy sweet potato topping, a traditional oozey melted cheese quesadilla, or a spicy pork pilbil taco stuffed with meat and pickled onions - seriously lip-smacking. If you are looking for tacos in London, these restaurants are sure to satisfy. Santorini is an unpredicted addition to this list, known for its gorgeous Greek Island location and spectacular sunsets that sink behind the caldera. There are two highly famous Mexican restaurants here; Fira’s Taquería Los Tres Amigos is a fun and colourful venue created by three friends who have a passion for food, drinks and travel. The menu houses firm favourites including soft or crispy tacos, burrito bowls, quesadillas, chimichangas and plenty more. In Pyrgos, Senor Zorba restaurant serves up delicious meals alongside some of the best views on the island. When in Paris, make your way to Distrito Francés, an upmarket Mexican takeaway in bustling Rue du Faubourg Saint-Martin. This welcoming restaurant serves “tacos with a twist,” with toppings such as pickled radishes, tamarind glaze and crushed peanuts. You can order three to four tacos at the same time, which are devotedly nestled in wooden taco holders, matching the warm wood interior. Couple up your tacos with Michelada, a spicy and a refreshing blend of beer, lime juice, tomato juice and spices to wash it all down with. If you’re looking for authenticity, Candelaria combines Mexican cuisine with world-class cocktails. Open since 2011, this Rue De Saintonge venue has been recognised in the World’s 50 best Bars, and its no surprise. This quaint speakeasy oozes a warm and inviting atmosphere, with thick curtains that lead you through to the back room where drinks are served. Look forward to homemade tostadas, sautéed spiced meat and melt-in-the-mouth cheese fillings and beyond. Los Angeles is crowned as the unrivalled taco city in the United States of America. There’s fierce competition in the city of Angels, but Calle Tacos just about tops the bill. Within the restaurant, you'll discover a real taco truck enduringly parked on the Hollywood Boulevard. What make the dishes so tasty are the restaurant’s authentic salsas and hush-hush family methods, derived from the owners’ roots in their birthplaces of Distrito Federal and Jalisco, Mexico. Another taco scene can be found in Tacos Baja Ensenad, where the Mexico-style fish tacos are a must-try on the menu - with a buttery soft interior and crispy, golden batter on the outside, it’s hard to say no. The German capital is known for its international flair and the food scene is thriving. Lucky for us, Berlin sure knows its tacos, with an abundance of Mexican restaurants and pop-ups dotting the colourful city streets. Taco eateries like Maria Bonita, Neta, Tin Tan, and Burrito Baby offer a mixture of sit-down and grab-and-go delights sure to set your taste buds tingling. When it comes to quality Mexican food, Bali has joined the bash. 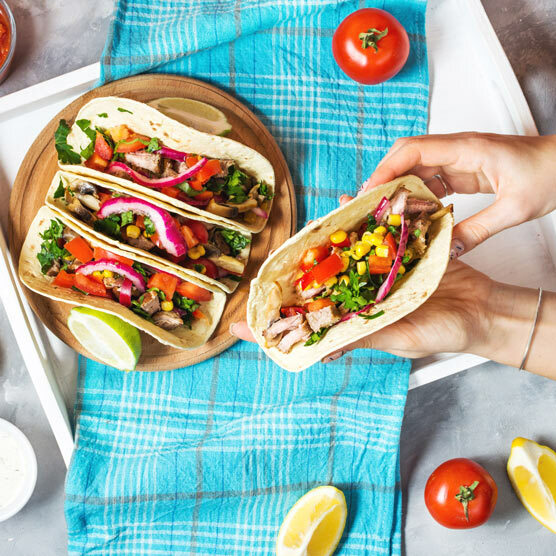 Taco Casa commenced the Mexican taco trend when it first landed in Ubud, with its popular Tex-Mex menu – today both the Ubud and Seminyak venues are bustling with hungry diners looking to devour freshly made tacos. In addition to this, Taco Beach Grill in Jalan Kunti is also recognised as one of the best burrito joints here famous for its “Babi Guling Tacos” (which are jam-packed with spicy suckling pig), offering a fusion of traditional Balinese and Mexican flavours. Lacalaca and Taco Local are also worth visiting.